Those books have gotten a lot of traction. They’re long, so they’re really not my favorite books to read right before bed, but the kids loved the real world, practical lessons they impart. They teach about taking on debt, working to save up money, saving, and spending all your money. One of the things I like about the books is that Junior, the main character, makes a lot of mistakes. But he takes the lessons he learns to heart and makes better choices in the future. We all do dumb things with our money, and we all mess up (see the Money/Work section for more on that!). 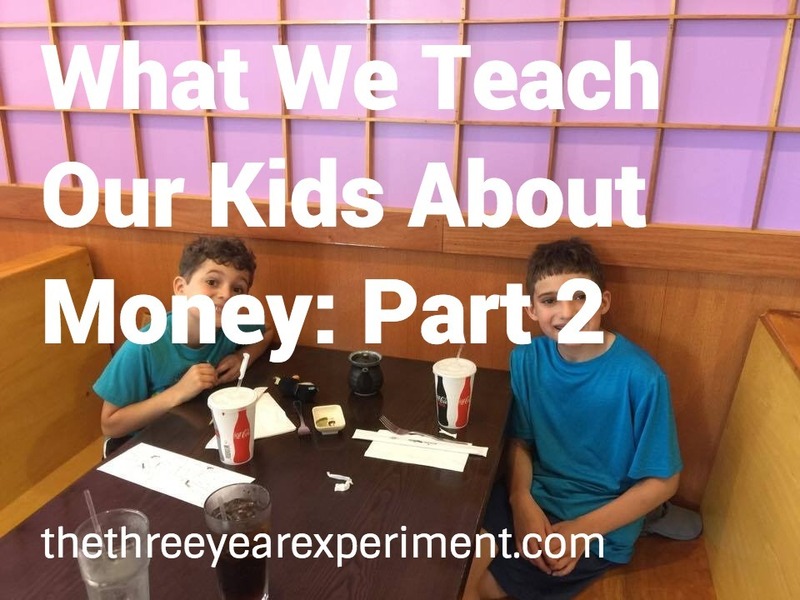 I want the kids to absorb that life is about learning and growing, and the same is true with money lessons. 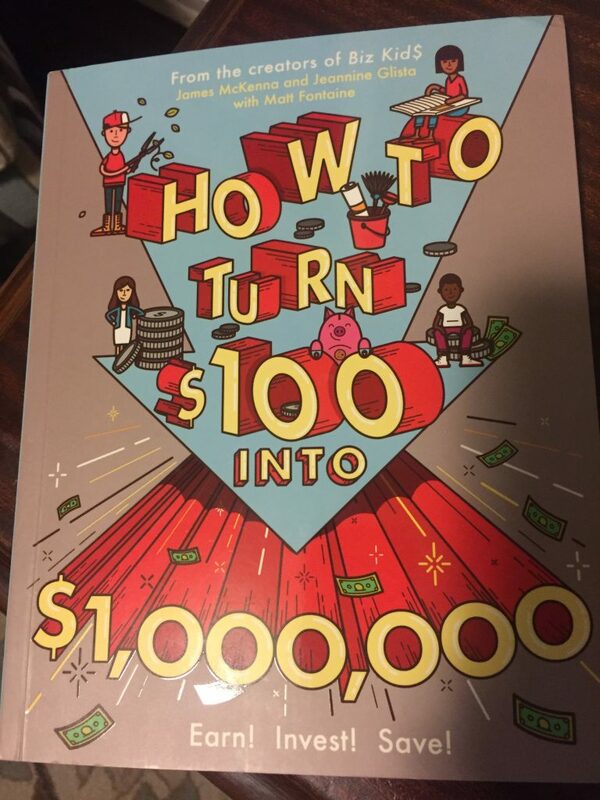 Another recent good book we’ve read is How to Turn $100 into $1,000,000. We won this book in a giveaway done by Chief Mom Officer. (I LOVE to win stuff–don’t you?). It was awesome to receive this book in the mail. It’s geared towards slightly older kids, but my oldest has already absorbed several facts, like “if you stacked up 1 million $1 bills, it would be 350 feet tall.” And, more importantly, “most wealthy people don’t drive flashy cars or take expensive vacations.” This book gives older kids step-by-step instructions for how they can save and invest their money to become $1,000,000 (spoiler alert: it takes a really long time!). A great book for slightly older kids (aged 10-18). I mentioned in Part 1 that each of our boys has three jars to put his allowance in: Saving, Giving, and Spending. Once the Saving jar is filled, we transfer the savings dollars to a savings account that pays interest. Like Dave Ramsey, we’ve told our kids we will double the amount they save to buy them their first car when they’re old enough to drive. So, if they save $5,000, we’ll double it and make it $10,000. If they save $10,000, we’ll double that money so they have $20,000 to save on a car. If they only save $500, they’ll just have $1000 for their first car (ouch!). We hope that by giving the kids the car savings incentive, they’ll be motivated to get jobs in high school and work. There was absolutely nothing as educational as my first few jobs in high school and college. I started working young, around aged 9, in my dad’s pediatrics office. I filed charts, took phone messages, and did other office work. When I got to high school, I did secretarial work for a local lawyer, who was a good friend of my family. I took dictation (yes, that was still a thing back then! ), filed charts, even input bankruptcy data into a bankruptcy program. I remember that the lawyer used ancient MS-DOS computers that didn’t even use mouses. We had to use command codes for everything (and this was in 1996-1998, when everybody was using Windows). Then, in college, I was a waitress, and that was a real life education. One of the best lessons it taught me was that I did not want to do a physically demanding job my whole life. After my “cushy” office jobs, getting burned, lifting heavy bags, and being constantly on my feet while waiting tables was not my idea of fun. Mr. ThreeYear had a similarly enlightening education with his first few jobs. He was a bag-boy at a local supermarket, where he basically just earned tips (because you tip the bag-boys in Chile) that amounted to something ridiculous like $50 a month after working 6 days a week, 10 hours a day. Then his first job was a two-hour commute from the house and he made a similarly low wage. These first jobs were transformative experiences for us. They taught us what we didn’t want to do, so that we made sure to work really hard to get a job that we did want to do. They also showed us (well me, at least) that if you wanted to save up for something, you needed to get a job. I got my first job in college because I wanted to go on a Spring Break trip to Jamaica. My parents were absolutely not paying for that one, so I went and applied at local restaurants. I earned enough for the trip and kept working at Outback Steakhouse all through college. I made a lot of money for a college student, around $100 per night in tips, and I blew it all on clothes and alcohol (and trips, always trips!). But I didn’t go into debt, and I learned a lot at the end of college. I realized that I’d wasted all my money on all those clothes with nothing to show for it, and I never bought as many clothes again. We want to teach our kids how to work hard at something and be proud of it. We want our kids to “enjoy” the experience of bad first jobs to teach them that work is, well, hard! And that their earnings are precious resources that they should treat carefully. When I lived in Chile after college, I had several friends whose parents put $4,000 a year in their IRAs (which was the yearly maximum back them). I thought this was the best present that a parent could give a child. I was still too dumb to max out my IRA, and while my parents were actually giving me just under $4000 a year to help out while I lived in Chile, they didn’t say it had to be used for an IRA. However, as a parent, you can contribute as much money as your children earn in an IRA for them, up to the 2018 max of $5,500. So, if Junior ThreeYear gets a job in high school and earns a total of $6,000 a year from his efforts, we can contribute $5,500 to his IRA. And he doesn’t have to put his earnings in. He can use his $6,000 to put in his car fund. This is yet another reason why kids having jobs in high school is such a good idea. If we contribute $11,000 on Junior’s behalf and it earns 7% for 32 years, then when he’s 50, he’ll have $95,867.98. And if we contribute $5,500 from the time he’s 16 until the time he’s 21 (assuming he earns at least $5,550 each year from the time he’s 16), then he would have roughly $234,770.48 by the time he’s 50. So there you have it! These are some of the ways we’ve set out to give our boys financial literacy. We know they’ll make mistakes, like we did. But we hope that by being good role models and providing them with the knowledge of how to save and invest at a young age, we’ll be sowing the seeds for a fruitful financial harvest as they get older. 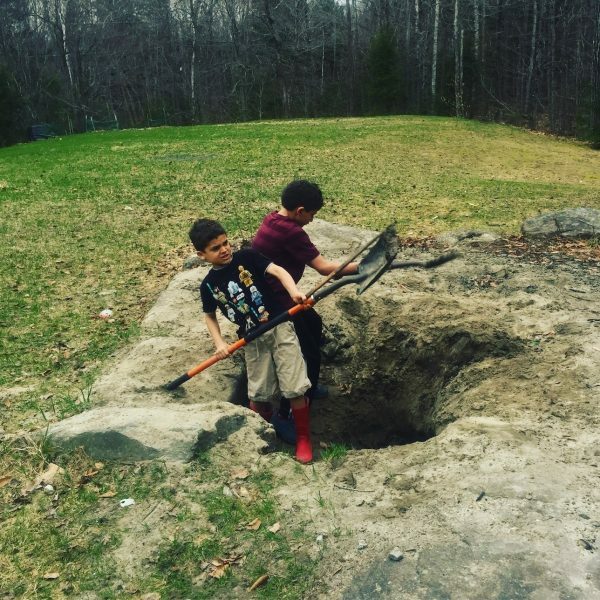 What’s the best lesson you learned as a kid? Ha! 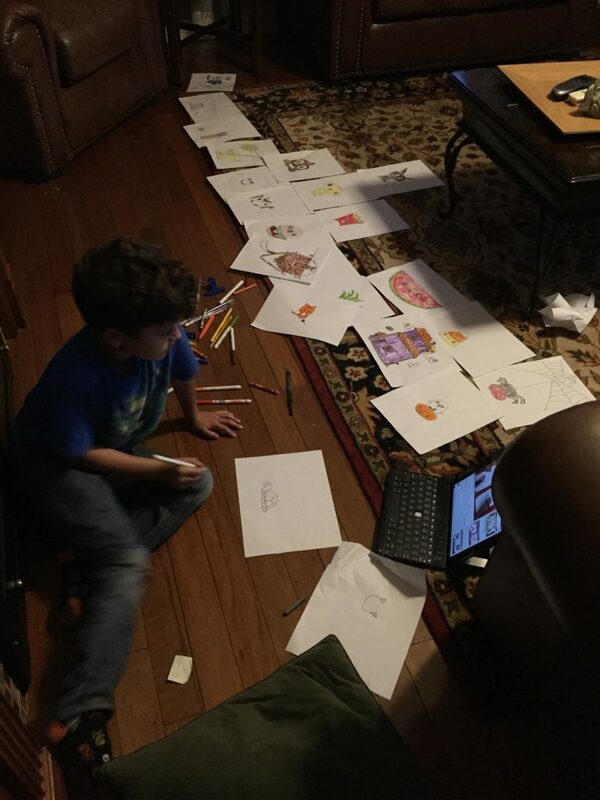 More free homework! I’m just gonna copy grand theft allllll these ideas when (if) we become parents one day. Except I’ll be mean and tax them too so they learn. No one escapes the taxman!!! Ha! Oh my gosh that’s a good idea! I’m going to think about how to implement that!